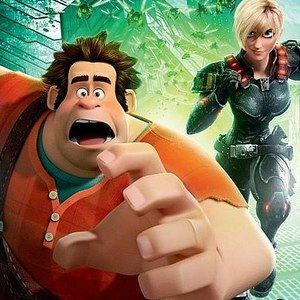 Traverse the screen and travel into the secret world of video games with Walt Disney Pictures' latest animated adventure Wreck-It Ralph, featuring the voice of John C. Reilly as Ralph, a video game villain fed up with his preordained path as the perpetual bad guy. To change his destiny, Ralph does something forbidden in the world of first person shooters and arcade classics...He game jumps! Hoping to become the hero he knows he can be, he accidentally unleashes the ultimate Boss Villain, a force so powerful it could pull the plug on his arcade surroundings forever! We recently sent our friend Ryan J. Downey down to chat with the makers behind this innovative and fun ride through the world of pixilated landscapes. Watch our exclusive interviews as Downey gets the behind the scenes scoop from Ralph himself, John C. Reilly, as well as Vanellope von Schweetz (Sarah Silverman), Lt. Calhoun (Jane Lynch), Fix-It Felix (Jack McBrayer), and director Rich Moore.